Jens Bürger received his MSc in Robot System Engineering from the University of Southern Denmark and his PhD in Electrical and Computer Engineering from Portland State University in 2011 and 2016, respectively. 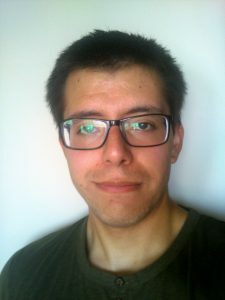 In his dissertation he investigated the use of nanoelectronics for building biologically inspired computer architectures that are able to learn and benefit from structural and functional heterogeneity. 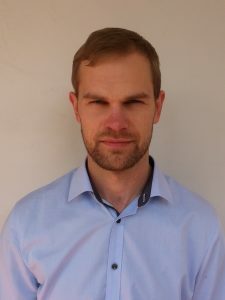 Jens has developed the concept of ICI and is leading the research projects in an effort to advance the application of artificial intelligence within Bolivia. 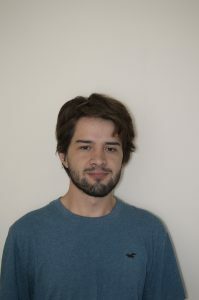 Jorge Calvimontes is an undergraduate student in Electromachanics. His general areas of interest are artificial intelligence, computer science, robotics and renewable energies. In his thesis he utilizes artificial neural networks and reinforcement learning algorithms for motion control of a robotic arm. As research assistant at ICI he investigates the use of recurrent neural networks applied to time-series functions in general and for product demand forecasting in particular. Jorge Loza Arze is an undergraduate student in Electromachanical engineering. His general areas of interest are robotics, computer science, aerospace and engineering design. As research assistant at ICI he investigates the use of heuristic optimization algorithms to warehouse operations. Considering fluctuations in product demand and order patterns, he investigates strategies for maintaining optimal order-picking times and slotting policies.